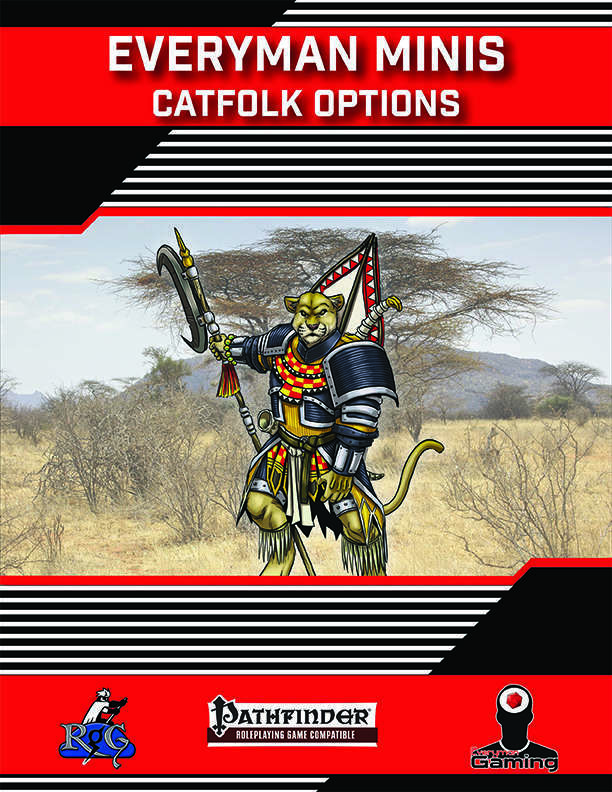 This installment of Everyman Minis includes: 1,000 words introducing all-new player content themed around catfolk characters. Within, you’ll find a new archetype for Everyman Gaming’s unchained fighter, the pride commander, four new feats specifically for catfolk, two new ranger skirmisher tricks for rangers with the skirmisher archetype or the animal companions of hunter characters, and three all-new shifter aspects: cheetah, jaguar, and lion. Also included is a paragraph of brief flavor describing different catfolk subraces, their appearance, and cultures.